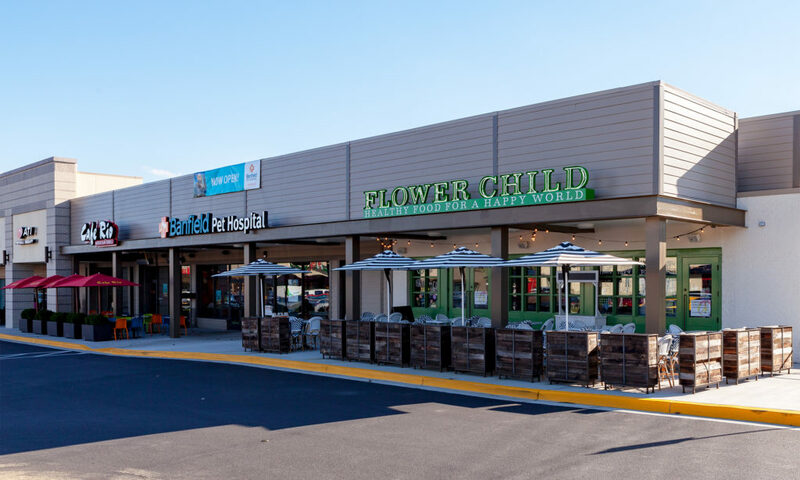 Prolific restaurateur Sam Fox’s first D.C. area outpost of Flower Child opens in Rockville this week, kicking off a large Beltway expansion for the health food brand. The 4,000-square-foot location at 10072 Darnestown Road is scheduled to open on Wednesday, November 7, at 11 a.m. The brand, which falls under the Fox Restaurant Concepts umbrella, has about a dozen national locations, mostly in Arizona and Texas. Popular menu items coming to Rockville include vegan poke bowls made with marinated beets, grass-fed steak wraps, kombucha on tap, and fresh-squeezed juices. To celebrate opening day in Rockville, the first 100 guests will get $25 gift cards to use on their next visit. The spot will be open daily from 11 a.m. to 9 p.m., Monday through Sunday. Fox, an 11-time James Beard Award semifinalist for restaurateur of the year, has nearly 50 restaurants falling under 13 brands. In all, he plans to open 18 new restaurants throughout the U.S. by early 2019.